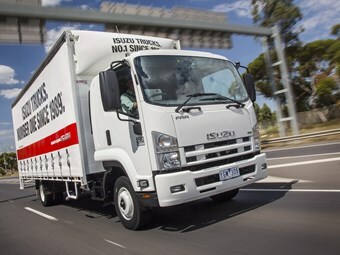 Isuzu will launch its telematics program at the International Truck Trailer & Equipment Show in Melbourne next month. The program will offer two levels, which the company says will provide an extensive range of real-time vehicle tracking and monitoring. The levels are called Connect and Connect Plus. Show-goers will be able to see live demonstrations of the technology from the Isuzu trucks stand. The stand will also showcase a 15-vehicle selection of Isuzu models covering the light, medium and heavy duty segments. Among the trucks will be a limited edition F Series model featuring a high horsepower engine, Hendrickson air bag rear suspension, Allison automatic transmission and Alcoa alloy wheels. The stand will display a wide range of model configurations including crew cab, ready-to-work vehicles and an agitator-bodied 8x4 FY Series truck that has been further optimised for that application. There will also be two alternative fuel models – the compressed natural gas (CNG) powered NLR 200 CNG light duty truck and the medium duty FSR 850 CNG. Complementing the display will be Isuzu’s recently-restored 1979 SBR 422 heritage truck. Also on show will be a selection of Isuzu branded fluid products, parts and accessories as well as some industrial off-highway engines. 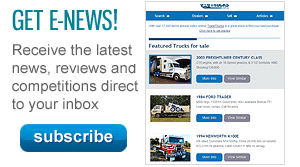 Check out all the Melbourne Truck Show news, as well as a guide to the show here. Find Isuzu trucks for sale. 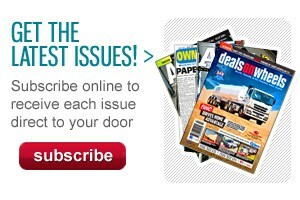 Search for new Isuzu specs.